I am passionate about technology, entrepreneurship, and Africa-China-U.S. collaboration. Having lived in China and the United States and conducted field research in Cambodia, Israel, Palestine, Switzerland, the United Kingdom, and Uganda, I am skilled at unifying multiple perspectives around a common vision across cultural contexts. After graduating from the University of Notre Dame where I studied Information Technology Management, Sociology, and Actuarial Science in 2016, I have consulted billion-dollar companies in the apparel and manufacturing industries to improve organizational efficiency by delivering enterprise software applications. In the near term, I hope to contribute my experiences and skills to companies driven to create change in Sub-Saharan Africa, specifically South Africa, Kenya, and Tanzania. I am committed to improving well-being of the poorest populations. In the long term, I aspire to facilitate Sino-American collaboration in and with Africa to drive growth of the continent. Please feel free to drop me a note. I'm always open to new connections and inspirations. I enjoy bringing people together and making innovative ideas happen. In 2014, I established the Society for Entrepreneurship, a cross-disciplinary platform supporting and facilitating collaboration among over 400 aspiring entrepreneurs at the University of Notre Dame. Additionally, as an entrepreneur myself, I founded FashionEmpowers, a fashion startup which was named "the best business idea" among 33 pitches by Shark Tank's Kevin O'Leary. I seek opportunities to create positive change in my community. I led the publication of "A Letter to My Freshman Self," an anthology of 65 letters of advice from Notre Dame alumni to freshmen. The book is an integral part of the University's first-year curriculum and its second edition is underway. Moreover, I represented my University to speak with former President Jimmy Carter on China-U.S. relationship, deepening my interest in multilateral collaboration for change creation. I have received over $20,000 to conduct research on topics of foreign assistance and entrepreneurship education by interviewing over 100 individuals across four continents. My research findings culminated in my speech at TEDxUND, discussion with other experts on Al Jazeera English, and presentations at four international research conferences. More importantly, the relationships I built along the way nurtured my commitment to improving lives of the vulnerable. E-Society: I founded the Society for Entrepreneurship (E-Society) in my third year of college. Within the first year of establishment, the E-Society attracted a total of over 400 faculty, staff, and students from across the University. 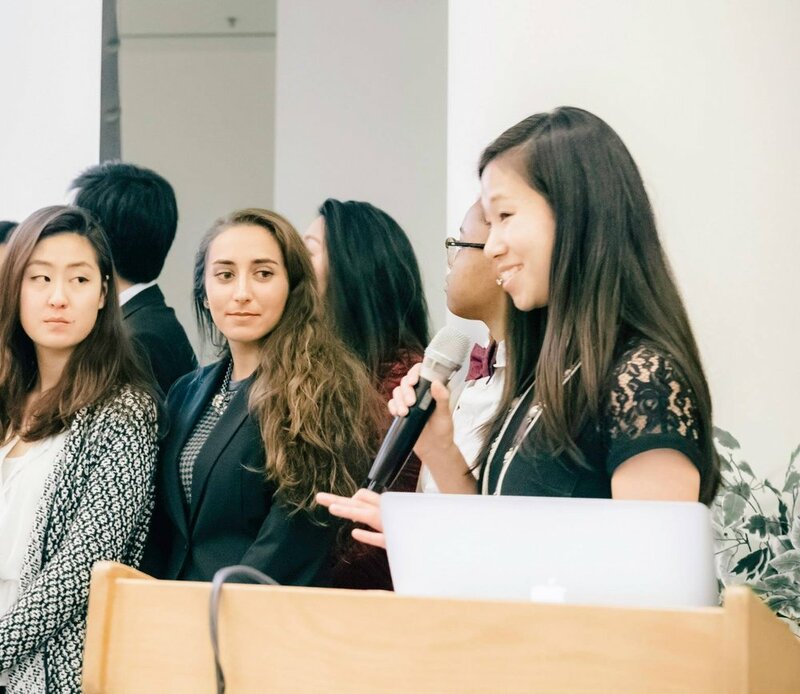 I led a team of six and we made entrepreneurship-related resources readily available by leading weekly workshops featuring experts on topics ranging from patent filing to prototyping. Moreover, we built a website that connected students with over 3,000 alumni, enabling mentorship and collaboration. Under my leadership, the E-Society led to the formation of a dozen startup teams and the launching of two businesses, one of which even expanded to Canada. FashionEmpowers: During my time in Uganda, I discovered the beautify and affordability of customized dresses made by Ugandan artisans. 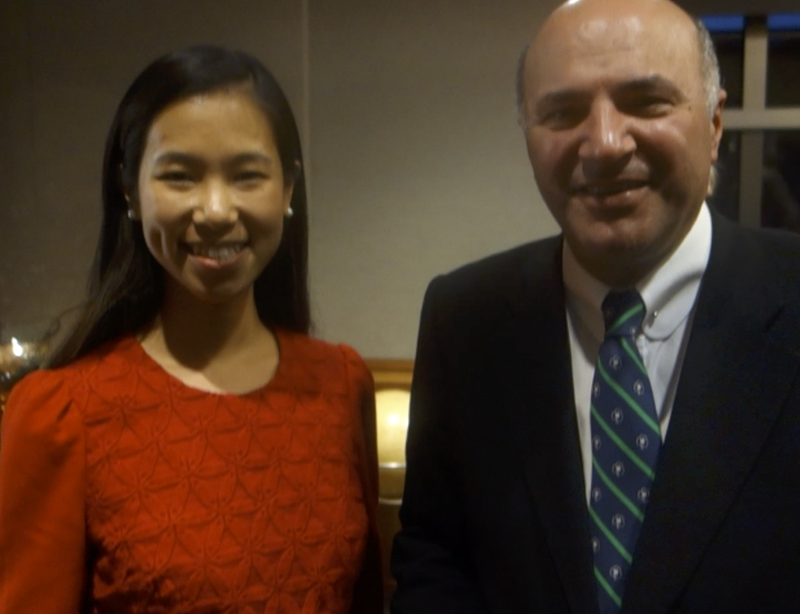 I saw tremendous market for their products in the U.S. By leading an American team of four and established working relationships with Ugandan tailors, retail suppliers, and a local business partner, I developed a business model which was named “the best business idea” by Shark Tank’s Kevin O’Leary among 33 ideas pitched to him. 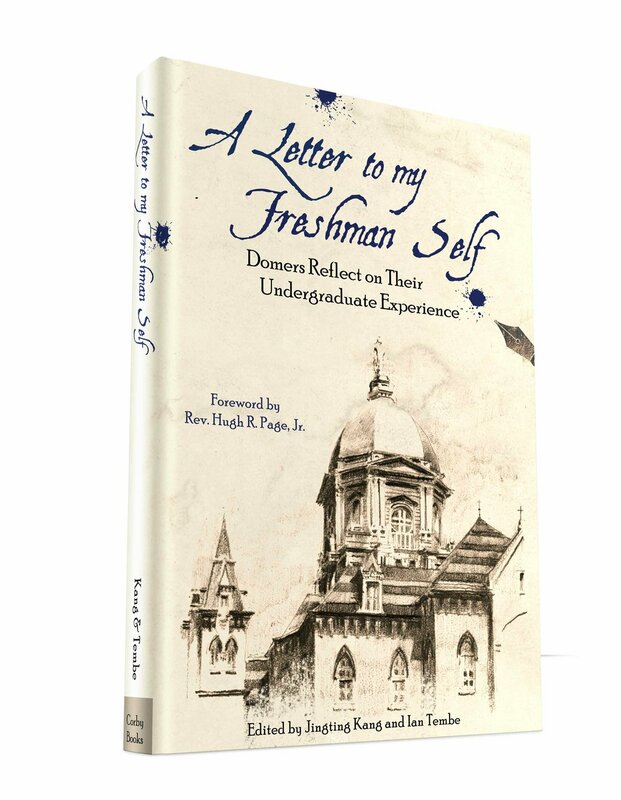 A Letter to My Freshman Self: Domers Reflect on Their Undergraduate Experience is an anthology of personal letters from the University of Notre Dame's alumni ranging from graduating classes of 1957 to 2016 addressed to their freshman selves. In 2016, I led a team of nine including editors, designers, and marketers and brought the book from an idea to fruition within six months. The book is part of the team's ongoing effort to help freshmen make the most of their college experience. As required reading for all 2,050 first-year students in a University-wide course, the book has become a model of reflection for the course's final capstone project. With over 2000 new letters generated in 2016-17, a second edition of the book is underway. Praised as containing "treasures that will help future generations of Notre Dame Students," by Fr. John Jenkins, the book is available for purchase on Amazon. All proceeds support a scholarship for incoming freshmen at Notre Dame. To learn more, visit: www.lettertomyfreshmanself.com. International Volunteering: Valuable or Vandalism? Growing up in Harbin, China, I came to the U.S. at age 15 and started attending a Catholic high school in Virginia where I was the only Chinese student. This new environment shattered my insularity as my American classmates’ views challenged me to re-examine my beliefs. I was particularly confused by their service trips to Africa where they distributed shoes, because my family had taught me to take pride in self- reliance and reject handouts. However, discussing and attempting to understand my American peers’ perspectives nurtured my senses of humility and wonder, and prompted my further investigation of foreign aid during college. With a $6,000 research grant, I examined the social impact and moral implications of short-term international service by conducting ethnographic research on foreign volunteers and locals at seven Cambodia-based NGOs. Lessons that I learned are shared in the below speech at TEDxUND in January 2014 (left). Additionally, I was invited to discuss "The Politics of Volunteer Tourism" with other experts on this topic by The Stream, Al Jazeera English's award-winning show (right).